Counseling services offered include: Individual Counseling, Group Counseling, Couples/Relationship Counseling, Case Management and Referral, Outreach, Consultation Services. 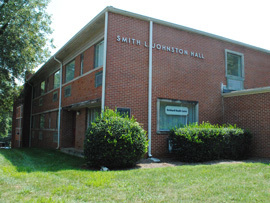 The Campus Counselor helps Reinhardt students learn more about themselves and their relationships with others, as well as ways to deal with development issues. The Campus Counselor emphasizes the benefits that develop when a "healthy" personality grows and changes. The Campus Counselor recognizes the need for confidentiality so an individual or group feels free to explore concerns, formulate plans, make decisions and initiate appropriate actions. All concerns expressed to counselors shall remain confidential per ethical practices and standards. The Campus Counselor assists students with personal and social concerns, career development and placement and educational guidance. These services are provided at no additional charge. Counseling of a more intense nature is available by referral from University counseling staff to a community resource who usually charges a fee for service. Depending on the nature of the counseling, the sessions could take place on campus or in the nearby community. In the latter case, the student is responsible for his or her transportation and expenses.